To open container remove clear plastic seal by flipping open lid, squeezing body of the canister, and pulling up firmly on lid to remove from canister. Peel off clear plastic seal and discard. Locate wipe at center of roll, twist to a point, and thread through opening in lid. Replace lid and pull wipe through. Keep lid closed between uses to prevent moisture loss. Always test first in an inconspicuous area. Apply wipe directly to stain. Gently scrub stain. 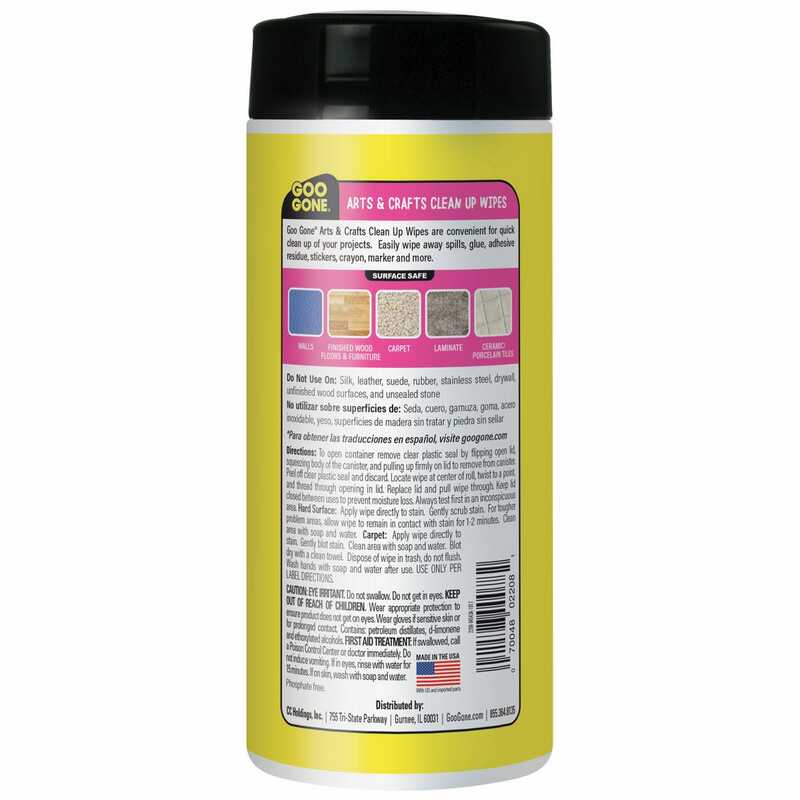 For tougher problem areas, allow wipe to remain in contact with stain for 1-2 minutes. Blot dry with a clean towel. Dispose of wipe in trash, do not flush. How long do I have until these dry out? We recommend using the wipes within 2 years if the canister is unopened. Once the product is opened it’s best to use the wipes within 3-6 months. 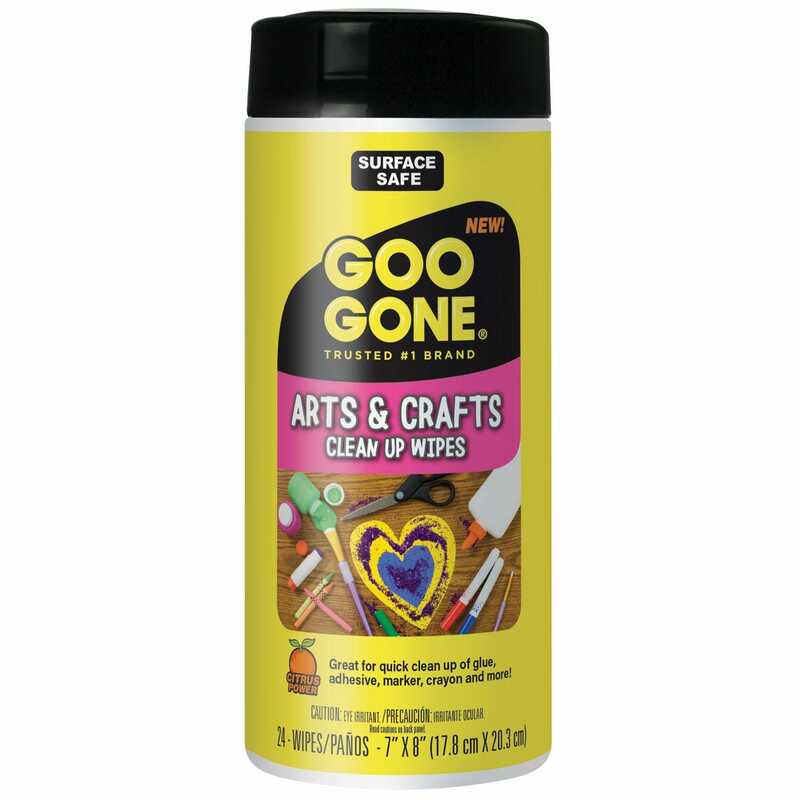 Goo Gone Arts & Crafts Clean Up Wipes are convenient for quick clean up of your projects. 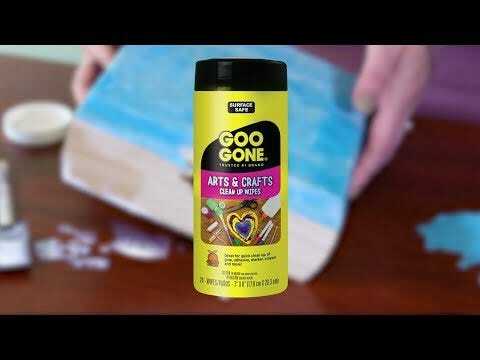 Easily wipe away spills, glue, adhesive residue, stickers, crayon, marker and more.